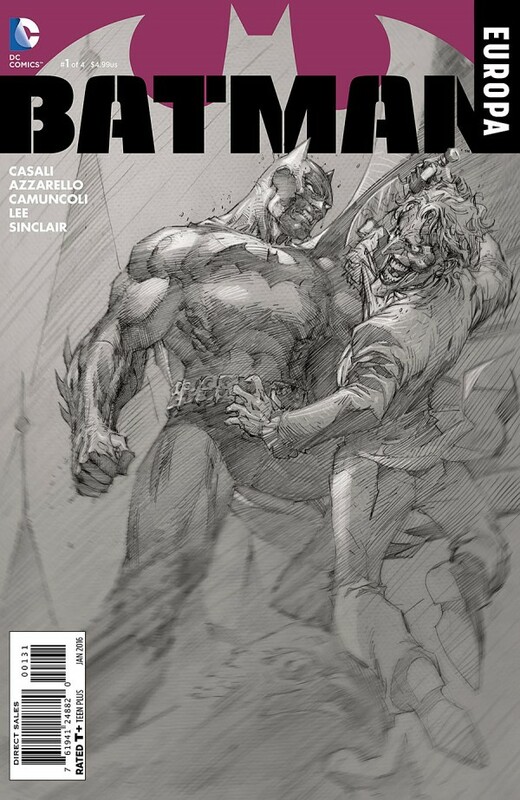 11 years after it was first announced, Brian Azzarello and Jim Lee‘s mini-series Batman: Europa finally hits the comic-book shelves. Originally announced by DC Comics in 2004, the series follows the Caped Crusader and his arch nemesis The Joker as they team up (!?) and journey across Europe in search of a cure for a deadly debilitating virus that is slowly sapping the life from the Dark Knight. The first issue begins with a brutal, knock-down, drag out fight between Batman and Killer Croc, and ends with him teaming up with the master of mirth and mayhem. After eleven years of anticipation, the series actually delivers on its promise; two superstar creators and the world’s most beloved Superhero. Though Azzarello is around for the long haul alongside Batman and the Joker, Lee (with Giuseppe Camuncoli) is providing the art for just the first issue, with selected artistic talent from across Europe taking on illustrating duties from issue #2. After over a decade of waiting, this lives up to the hype, Azzarello as always is marvellous and Jim Lee and Giuseppe Camuncoli‘s visuals are sublime. So why not pack up your travel bags and join Bats and Mr J on their trek through the E.U. but be prepared for a dark and daunting, but ultimately entertaining journey. Batman: Europa is available at your local comic book emporium right now. Written by: Brian Azzarello. Cover by: Jim Lee. Interior art by: Jim Lee and Giuseppe Camuncoli. Posted on November 21, 2015, in Comics and tagged Batman, Batman Europa, Brian Azzarello, Comic Cover Of The Week, DC Comics, Jim Lee. Bookmark the permalink. 7 Comments. wow now that is gonna be different! Oh my yes, it is indeed awesome! Thanks my friend, Jim Lee is awesome… one of the greats! he truely is a modern master! Man, that’s such an authoritative style of illustrating – love it! 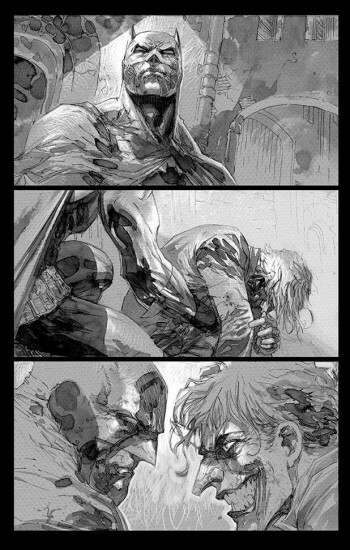 Jim Lee is an absolutely superb artist (as well as co-publisher of DC Comics) a very talented individual. Thanks for reading good sir.